SlabÂ load testing is used to determine the ability of a structure to carry additional loads or Design load , to establish the safety of structures, to validate strengthening, to gain knowledge on the behavior of a structure, and to supplement, validate or refine analytical work models. 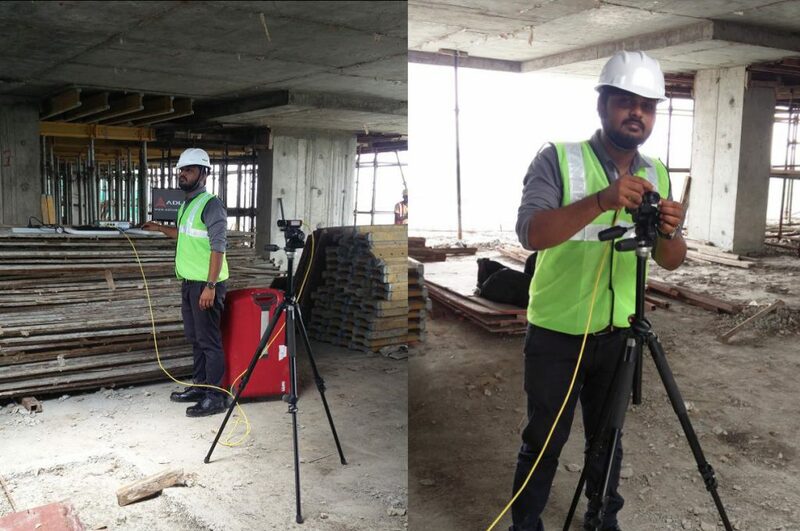 The test was conducted at Ratnakar Nine Square, Ahmedabad, Gujarat. 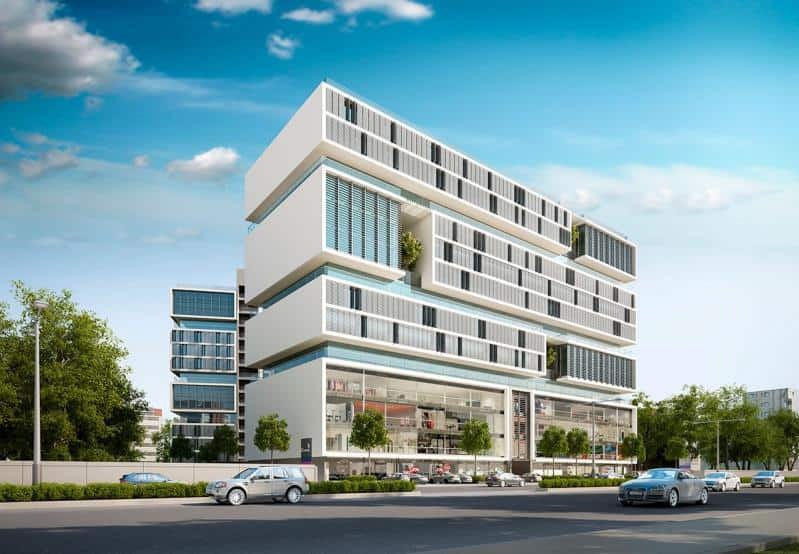 Built on the architectural principle of the nine- square- grid, this ambitious business center is designed to become the starting point to inspire the next wave of success stories. When you move ahead, â€œmoreâ€ will be a virtue that youâ€™ll experience in every corner of the workspace is the vision the structure is built on. Our Client Engineering Solutions Inc. wanted to check the strength of the slab by giving the load of 125% of design load. 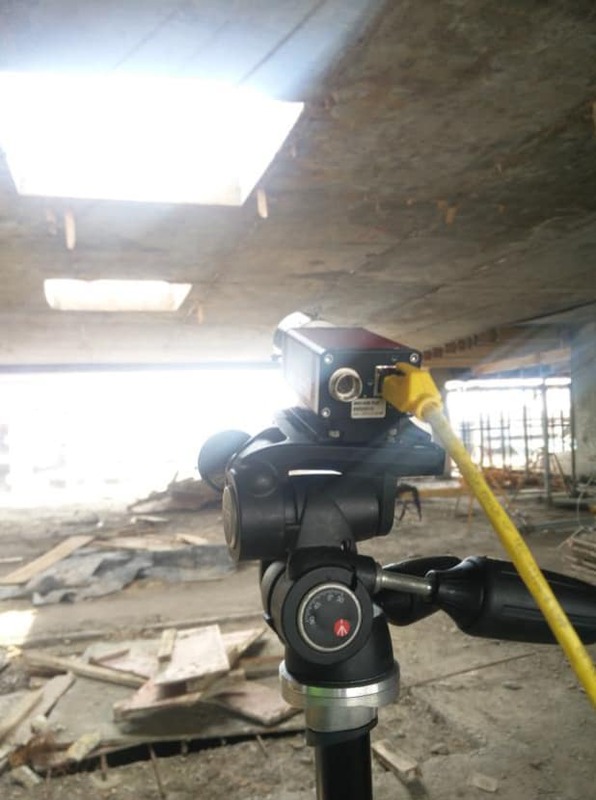 This was done by our team of Experts at Aimil Vadodara, conducted this test using Video gauge. Often, once monitoring requirements for a structure have been determined, the most difficult part of obtaining usable data is access to the structure. Â It is also not always possible to set strain gauges, accelerometers and prismatic targets in the ideal location, and the amount of cabling required can prove expensive and logistically challenging. Hence the Video gauge was used. 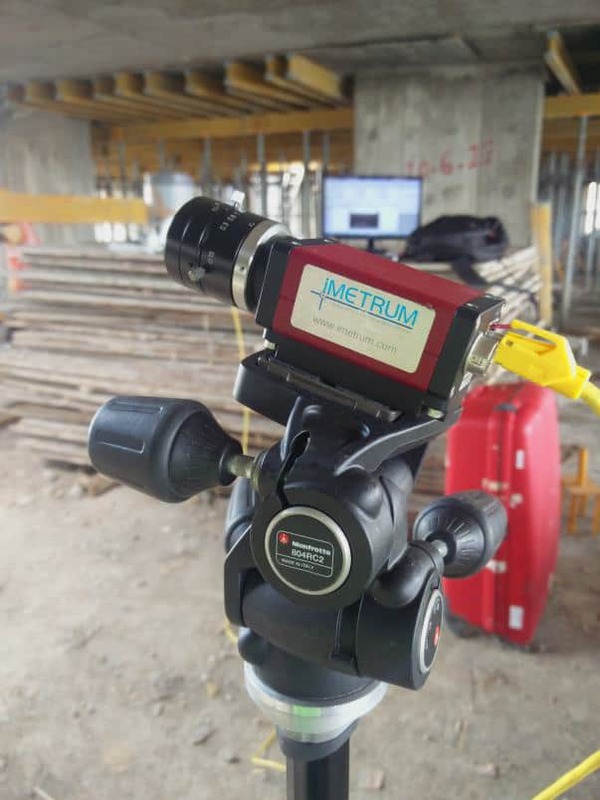 As a video based technology, Imetrumâ€™s system can be set up safely out of the way, meaning no disruption to labours and a safer working environment for those gathering the data. Main advantage of using the video gauge than traditional gauges was that no compromise had to be made in terms of determining where to measure, and above all accuracy can often be increased â€“ whether by measuring displacement directly (rather than inferring it from strain gauges or accelerometers), or by the inherent accuracy of Imetrumâ€™s system, which does not suffer from mechanical drift and typically has a resolution in excess of 1 part in 100,000 (i.e. if the camera can see a 40m wide structure of roadway, a resolution of greater than 0.4mm can be achieved). The test was conducted for continuous 120 hours. Our Client was very satisfied with the results. Do you have similar challenges? If yes, reach out to us. We have team of Experts equipped with state-of-the-art Instruments to help you find solutions to your challenges.